The IOIO OTG Android Development Board is a printed circuit board specially designed to work with the Android device or PC application. 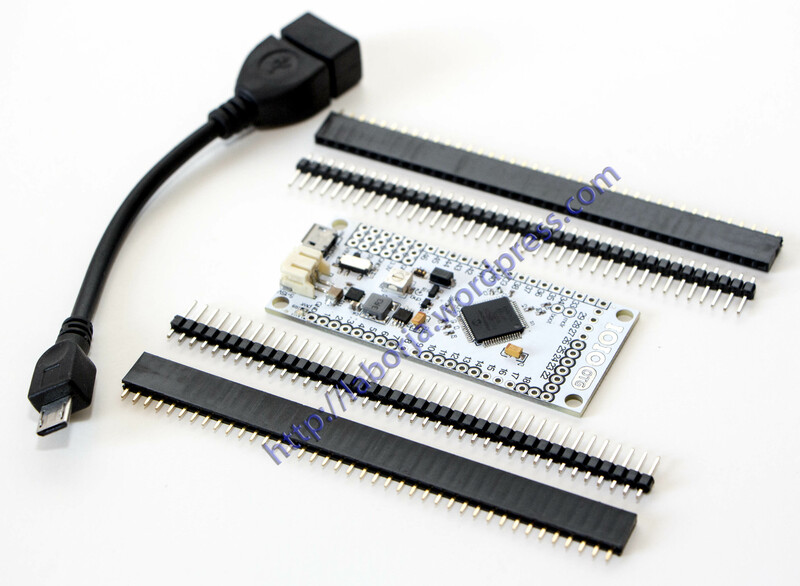 With it, you can connect an app on an Android device or a PC to low level peripherals like PWM, GPIO, ADC, I2C, UART and SPI. The IOIO doesn’t require you to write two pieces of software (board and client), it only require you to write the client-side (Android, PC) software. You can use a high-level programming language (currently Java) with a rich and intuitive API that allows you to manipulate the I/O pins and hardware peripherals on the board. So it is so fast and simple to do some prototyping and development with the IOIO. And this must be attributed to its microcontroller – PIC24FJ256GB206. Unlike the previous IOIO boards, IOIO–OTG can leverage the USB On-The-Go specification to connect as a Host or as a device. The IOIO-OTG acts as a USB Host and supply charging current if the app is running on your Android device while it assumes Device mode and present itself as a virtual serial port if app is running on a Windows, Linux or OSX machine. The IOIO-OTG is all open-source, software, firmware and hardware. The development has been an ongoing process, with new features and bug fixes introduced on a regular basis. New versions of firmware are distributed in a way that makes it very simple for the user to upgrade: connect the IOIO-OTG to a PC and run a simple program to flash the latest version or your own custom one if you’re into such adventures. Notes: Avoid powering your IOIO-OTG with 10V over long wires or your board may fail.